Benfica were smashed 5-1 and 2-0 by Bayern in the Champions League and ended up finishing third thanks to two narrow wins over AEK Athens. 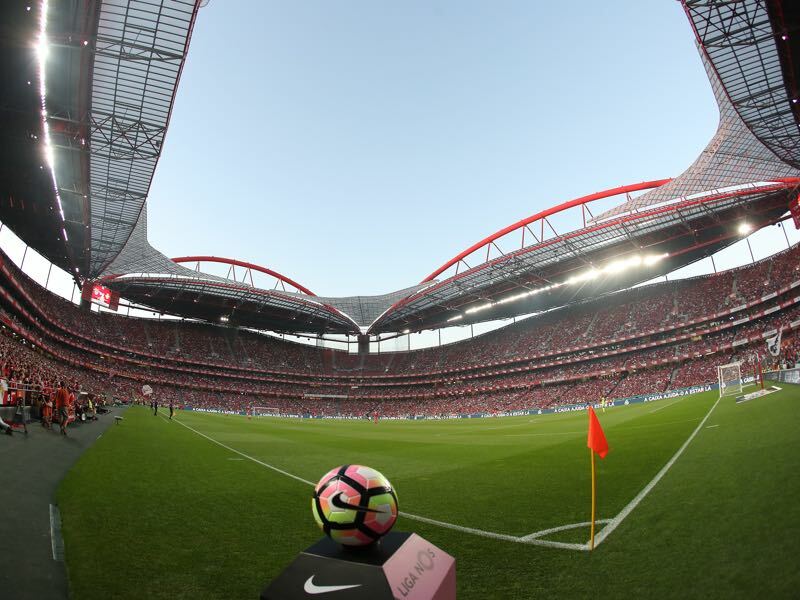 In fact, most of the first half of the season was a write off with Benfica falling dangerously behind Portuguese champions Porto in the Primeira Liga standings as well. Then on January 14, the Eagles from Portugal fired Rui Vitoria and replaced him with Bruno Lage. “You see fewer ties with horizontal lines, but the play has gotten better,” the Portuguese newspaper Record observed. Vitoria often wore suits and ties when coaching Benfica, his replacement Lage, however, prefers a more casual look. It is not just fashion that has changed at Benfica. Lage also changed the playing style away from a 4-3-3 towards a 4-4-2. Furthermore, the 42-year-old head coach has dipped into Benfica’s endless reservoir of talented youth players. 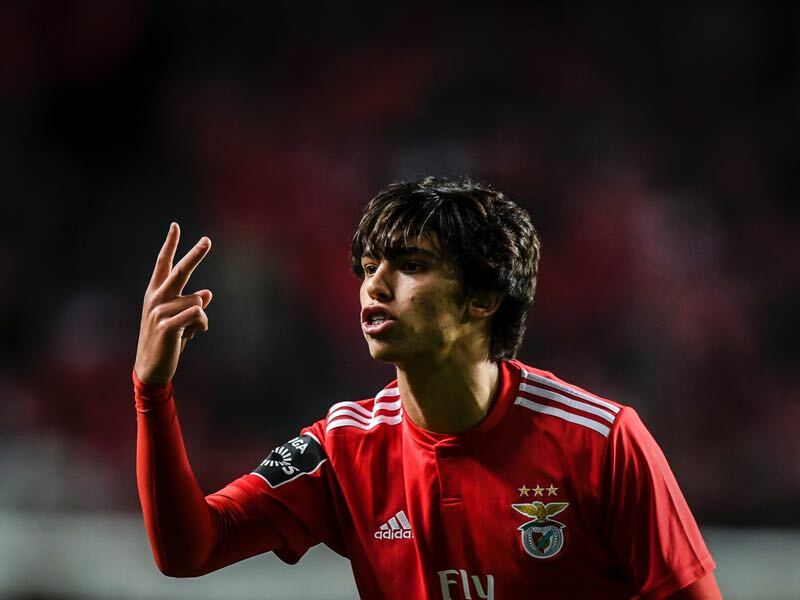 João Félix, in particular, has been fantastic and he has formed a deadly partnership with former Eintracht Frankfurt striker Haris Seferović. Seferović, in particular, seems to strive since he has been paired with João Felix — remembered as an opportunity killer in the Bundesliga, the level in Portugal seems to suit the Swiss-Bosnian striker. “I don’t know why but we are a good match,” Seferović explained his partnership with João Felix in an interview with the Basler Zeitung. As for his own career? “I knew that I could make it here. Now I get my minutes and I score my goals. Goals that have helped Benfica back to the top of the table, the 27-year-old has scored 18 goals in 23 league matches but only managed two goals in nine European games this season. Nonetheless, Seferović has somewhat become the leader of a Benfica side that has plenty of young talent. But is it enough talent to defeat Seferović’s former side Eintracht Frankfurt? The Eagles from Frankfurt, in fact, have been in phenomenal form throughout their Europa League campaign and are now unbeaten in 14 Europa League games. On Thursday they could equalise the record set by Atlético Madrid and make it 15 games and lay the foundation to extend their European campaign. Eintracht are a dangerous side at the moment. Not just in Europe but in any competition. Currently, fourth in the Bundesliga, Frankfurt have won their last six league matches and have yet to lose in any competition in 2019, their 15 fixtures so far yielding nine wins and six draws. On Saturday they were held for 90 minutes against Schalke in what has been one of their less stellar performances throughout the 2018/19 season. 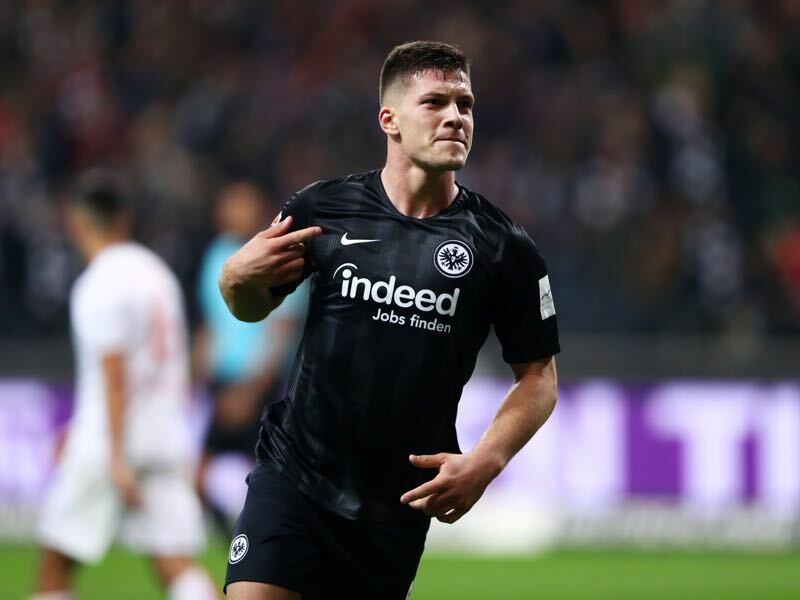 Nonetheless, Frankfurt walked away with three points thanks to a penalty goal scored in the 99′ minute by Luka Jović. “Even if we won that game there is plenty we need to improve if we want to make it into the final four of the Bundesliga,” head coach Adi Hütter said after the game. Nonetheless, “this victory should give us confidence for the coming tasks,” defender David Abraham added. Speaking of David Abraham. The defender made his comeback in the match and should be ready against Benfica. Meanwhile, Eintracht Frankfurt were without Sebastién Haller and Sebastian Rode against Schalke, both trained individually following the game but should be fit enough to return on Thursday. Both are key to Frankfurt’s success. “Rode is good for our game, a typical key player. And Haller is someone who can secure the ball in the final third,” Hütter explained. Finally, Martin Hinteregger broke his hand in the game against Schalke but is optimistic that he can play on Thursday. Hence, Frankfurt appear to walk somewhat wounded. But there is depth in this Frankfurt side and an unlimited appetite for success. An appetite that has led Frankfurt to defeat Olympique Marseille, Lazio, Shakhtar Donetsk and Inter Milan on the way to the quarterfinals and while the German Eagles are not necessarily the favourites against the Eagles from Portugal there is a good chance that they could advance nonetheless. João Felix has been fantastic for Benfica this season. The 19-year-old super talent has scored ten goals and five assists in 20 Primeira Liga games this season. Hence, even though he is still scoreless in Europe João Felix has caught the attention of countless scouts around Europe and has recently been linked with Bayern München, Manchester City and Wolverhampton Wanderers. “Technically he is far beyond average and reminds me a bit of Zinedine Zidane. Furthermore, he is quick to recognise situations, which helps him in one-v-one situations against stronger players,” former Benfica player Nuno Gomes said. “He has enormous potential. There is a reason I called him up to the national team,” Portugal head coach Fernando Santos recently told the press. There has been some comparison with Cristiano Ronaldo. In truth, the two are very different as Cristiano is a more physical and athletic player. What is comparable is the price, even though the 19-year-old only earns €370,000 a year he already has a €200 million exit-clause written in his contract. Benfica are excellent in scouting and discovering players and sell them with a profit. But every once in a while one gets away. One of those players is Luka Jović. Technically still on loan from Benfica to Eintracht Frankfurt, Frankfurt have a clause to make the transfer permanent for €7 million. Peanuts when one considers that Jović has multiplied his transfer value from €2 million to €55 million since joining the Eagles in the summer of 2017. This season, in particular, Jović has been incredible. The 21-year-old Serbian international has managed to score 24 goals and seven assists in 38 competitive games for Frankfurt this season. Not surprising the forward has been linked with the likes of Bayern München, Barcelona, Paris Saint-Germain and Real Madrid with his rumoured price tag far exceeding the €55 million he is valued. At the same time, it is not even certain that Frankfurt will sell the striker this summer. Jović, after all, would automatically sign a long-term contract and with the Eagles on the verge of reaching the Champions League could be enticed to stay another season. The clubs have never played each other in UEFA competition. Benfica have vast experience against German opposition, their 46 UEFA matches having yielded 13 wins, 14 draws and 19 defeats. They have lost only three of the 22 games played at home (W11 D8). The Lisbon club have prevailed in all three of their previous UEFA Europa League knockout phase ties against Bundesliga opponents – all in the round of 32 against Hertha Berlin (2009/10), Stuttgart (2010/11) and Bayer Leverkusen (2012/13). 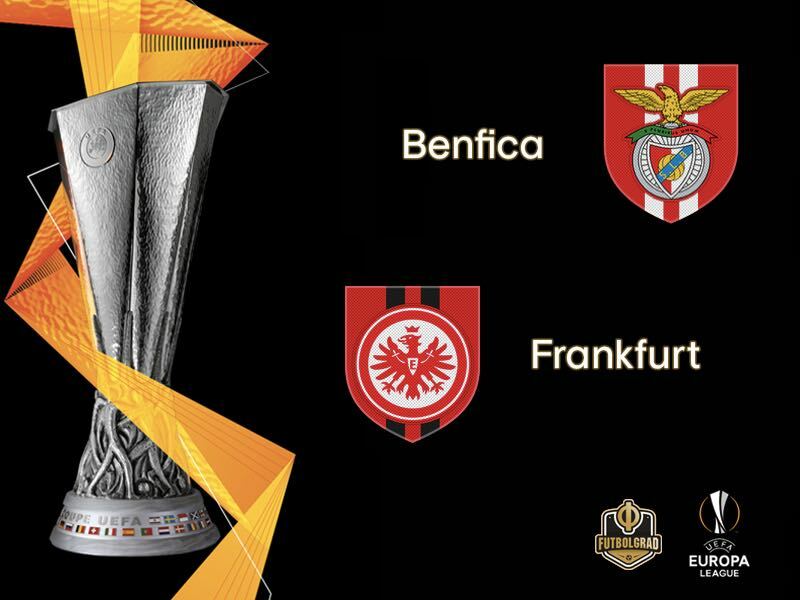 Eintracht’s overall record in the UEFA Europa League, home and away and including qualifying, is W15 D4 L1, the sole defeat having come at Maccabi Tel-Aviv (2-4) in November 2013. They are now 14 UEFA Europa League matches unbeaten – just one shy of Atlético Madrid’s all-time high. The Eagles away record in the Europa League is W7 D2 L1.